Provide a safe and healthy working environment for our employees. Minimize the generation of hazardous and non-hazardous wastes or emissions at our facility to prevent or eliminate pollution. Manage hazardous and non-hazardous supplies and dispose of their wastes safely and responsibly. Reduce resource consumption in the design of our products, manufacturing processes and in the operation of our facility where possible and economically feasible. Smalley’s product line consists of more than 10,000 standard part numbers stocked in carbon and stainless steel as well as custom designs manufactured to customer specifications. Smalley recognizes the importance of the RoHS and REACH directives and supports the objective of improving public health and environmental protection. Smalley is also committed to helping our customers select RoHS and REACH compliant parts and offer this general statement regarding our products compliance towards these directives. “Smalley’s standard catalog parts are manufactured using raw materials and rust preventatives that are in compliance with the RoHS and REACH directives, when supplied without any additional plating/coatings." If a RoHS and/or REACH compliance certification is required for a specific part number(s), please feel free to submit your request to qc@smalley.com. We would be pleased to provide custom RoHS and/or REACH certifications for a nominal charge. Recycling: Smalley makes every effort to recycle both the materials used in the manufacture of our products and the products we and our employees use to conduct business. Smalley's manufacturing process has been developed to minimize scrap and reduce byproducts that may be harmful to the environment. 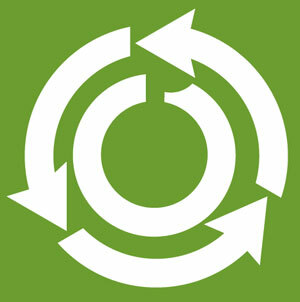 Employee Commitments: Employee recycling programs have been set up to reduce our individual impact on the environment. From collecting cans to used batteries and paper, we make every effort at reducing our footprint. Employees are encouraged to share rides when available. Catalog Printing: Smalley selects vendors that are certified by the FSC-US (Forest Stewardship Council). Environmental Goals: Smalley Steel Ring Company has established environmental goals to continue the improvement of our environmental sustainability. Reduce the use of office paper by 70% by the year 2025.